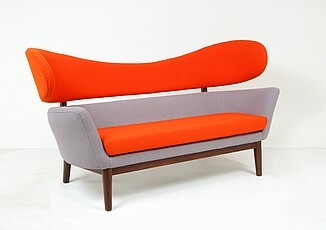 Finn Juhl was born in Copenhagen, Denmark in 1912. He studied architecture at the Royal Danish Academy of Fine Arts and worked in furniture and cabinet making as side hobbies. After graduating, he worked in architecture while still pursuing furniture design on the side. 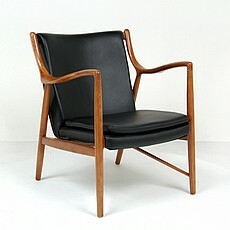 Because of this unique forms and use of teak, Finn Juhl was closely linked to Danish Modern. Beginning in the 1950s he worked on many international projects and exhibits in modern design. In the USA he developed 24 pieces of furniture for Baker Furniture in Grand Rapids, Michigan; including the sole piece we have chosen to replicate; the Baker Sofa.